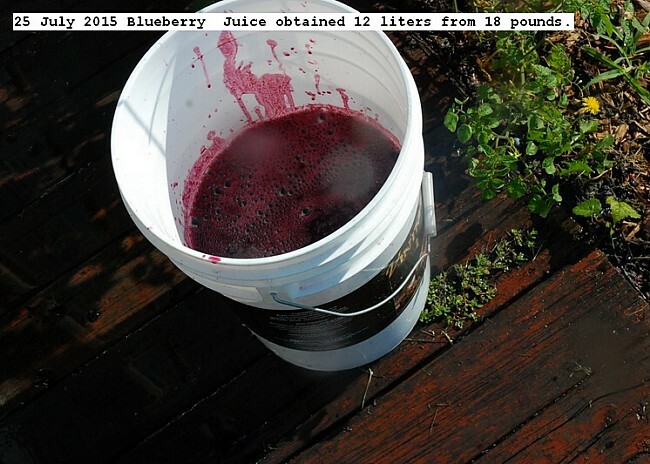 Eighteen pounds of blueberries were made into 12 liters of pressure canned juice. Blueberries have almost no gross fiber, so only simple screening is required to remove picking debris. Water was added to the solution prior to cooking to make drinkable consistency.The cooked berries were beat into a slurry using a hand blender.Berries cost $2.25 per pound.